Grab some good deals on household and personal care items from Amazon right now! 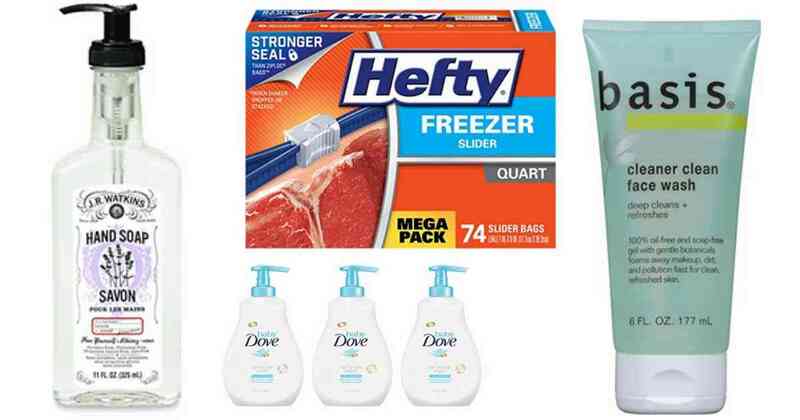 Combine coupons and Subscribe & Save deals to save on J.R. Watkins soap, Hefty bags, and more. You’ll save 5% on your Subscribe & Save orders and you can modify your subscriptions at any time. Subscribe to at least (5) things and save 15% instead of 5%! Makes it $19.91 ($3.31 per bottle)! Makes it $12.15 ($4.05 per bottle)! This is an add-on item, which means that it will ship with a qualifying order of $25 or more. Makes it $8.31 ($2.77 each)! Note: Prices on Amazon may change at any time. Shipping is FREE for Prime members or with orders of $25 or more.